Psychedelic music has been a mainstay in society since the sixties. The main aim of such music was to bring into the crowd a sense of euphoria. The psychedelic art started when people wanted to paint listening to this music. The psychedelic designs on tattoos are not actually very popular but they surely make up interesting pieces of body art and such designs suit psychedelic personalities. These days the tattoos of the psychedelic kind are seeping into the world and making a fashion statement. Psychedelic designs and paintings are usually viewed as being unacceptable as these are normally used and done by the hippies and the drug addicts. Usually those under the influence of the LSD or the hallucinogenic drug, they are the ones who draw and make these designs. Considered trippy these designs are not the forte of the normal people. 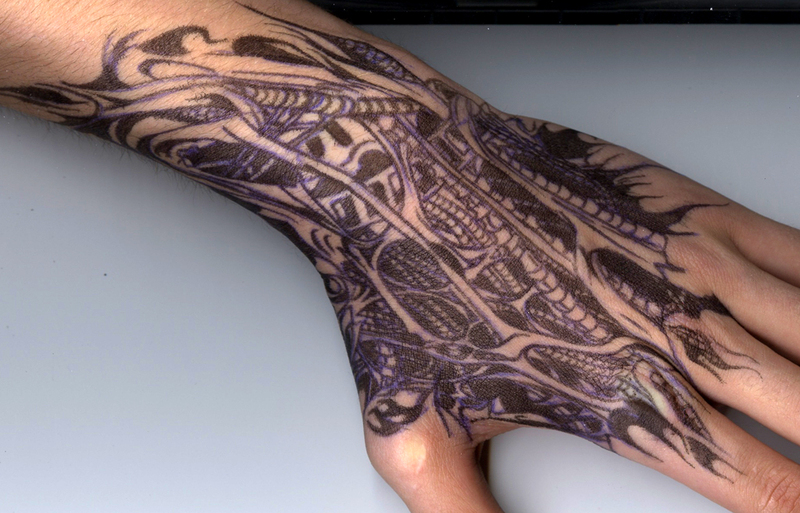 In fact, the trippy tattoos are used by people who are into psychedelic drugs. Trippy tattoos are also called as LSD tattoos or psychedelic tattoos and these are today creeping into the fashion world with a firm statement of occupying mind, body, and soul. Thus, these tattoos are a feature of such background and are today crawling up the chart of fashionable trends and stylish pleasures. With the advent of late night parties, all the youngsters are night owls. Etch this to endorse this feeling. Sometimes it would do you good to be a little bold and express yourself confidently. Women and passion are two sides of the same coin for those who want it that way. Make concentric statements. Let her decide which is best for her and take the right decision. Some of the faces we see remain etched in our mind. The visage belongs to such kinds of faces. Let the sun shine brightly and bring you the ideal ways of change in your life. Get protected by the Savior and change the world the way you want it to be. It is interesting to note that very soon you could do without it too. Get enlightened by the spirits around and enjoy the fact that you do not have to worry much about it. The hands that rock the child are the ones that take care too. So make sure your child likes your hand. Spiral your way to the top and let the rest of them take over your destination. Some of the expressions these days are very common and sincere. God helps those who help themselves. So come away with the hand that comforts and takes care of you, the power above and bless yourself. Show that you are the most learned and you have really nothing to lose if you say you are. There are a lot of things that have slipped our notice. The Flaming Eye ensures you would never have to recollect anything ever again. 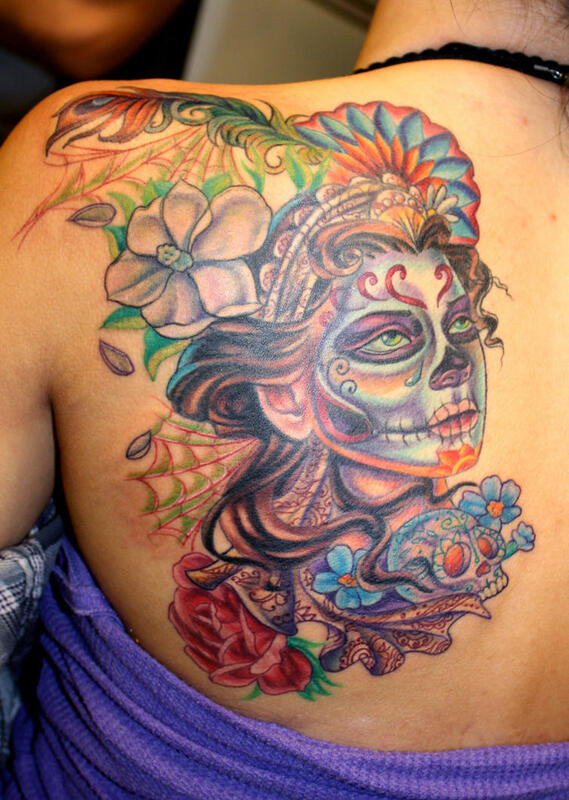 Vivid colors are charming and make way for the best kind of tattoos to be embalmed on arms, body, legs, chest, etc. Wonders of the back are those that remain embalmed permanently in the body. Enjoy such pleasures and more and see the difference. Blessed are those who have a dog, as a faithful friend. Enjoy the blessings and sporting this tattoo. Let the dogs be wild and crazy and give you the time of your life. Would you not want to try? Camouflage your intentions and never express it in public. This is the first lesson you would be learning in the fantasy land called life. Put your ambitions in a pedestal and show it off to the world. Enjoy all that you feel is required to make a better world. When the skull is blessed, the world is blessed. Experience the pleasures of being blessed by the power and sport this skull with confidence. Make the carriage of life very fruitful by enriching it with your creativity and talent. It is sure to be a hit. Enjoy the green eyed monster on your arm or leg and bask in the looks of surprise from people. Weave your way into the land of fantasies and make sure you are the one who would bring about a change. Impress upon the world that you believe in being smart and this can best be done by such designs only. The lady weeps as the world suffers, and you feel bad you can only put her on your hand and nothing else.